In a world where you can tell Siri to order you a pizza, technology has become increasingly indulgent. Check out these eight quirky, awesome, and perhaps unnecessary, gadgets that you won’t believe actually exist. You have no more excuses left for not catching fish. 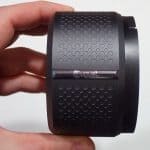 This gadget takes your bobber to a whole new level! 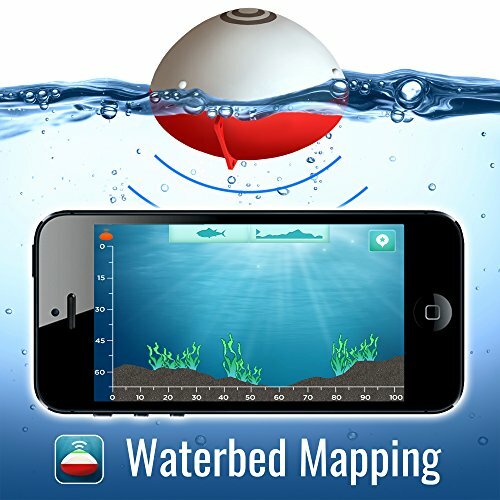 You can mark fish, make a map of your underwater surroundings, save the temperature of the water, weather, and location, the species of fish, photos of your catch and hot spots! You can even share all of it on social media if you want. Although, I’m not sure why you would give that away. It’s fairly easy to use and the only downfall is losing it. I don’t know about you, but how many bobbers do you lose in a season on average? Treat it with care and you can enjoy some hefty bounties. Getting your kids to brush their teeth properly twice a day is like pulling teeth. Forgive the pun, but most parents will say that is right on. 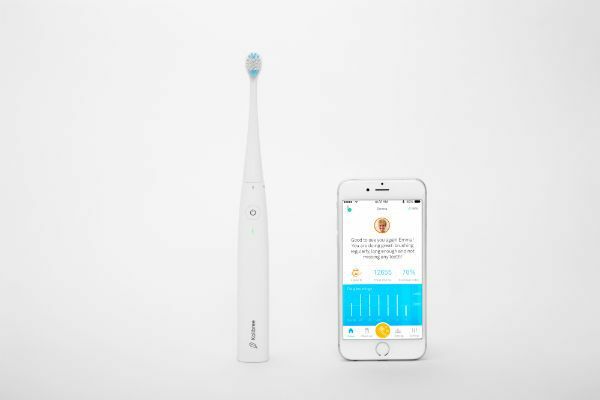 Enter the smart toothbrush. What kid doesn’t love interactive games mixed with technology? This smart toothbrush engages your child so that they brush their teeth correctly and for the right amount of time. That’s pretty huge in parenting world! It has games that allow your child to see how well they are brushing and if they are doing it wrong, they can correct it without your endless insistence. The best part about it is you only have to buy one. It has interchangeable brush heads for sharing! Mornings just got that much easier. Getting your kids to get dressed on their own is still on you. Does anyone really get 8 glasses of water per day? If you do, you are awesome, but chances are you are like most people and don’t. The smart water bottle can solve that for you. 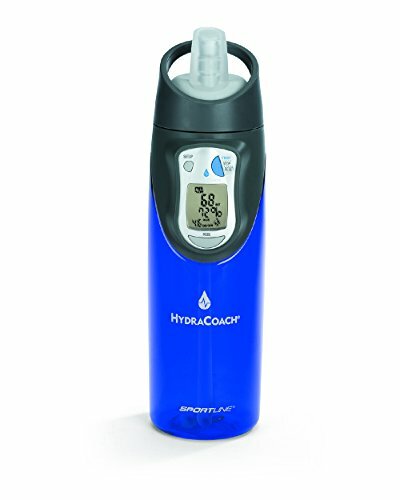 It actually tracks your hydration needs and motivates you to stay on target. Being hydrated is something that is grossly underestimated. You will find you are less hungry and lethargic in the afternoon if you can stay properly hydrated. No more break room candy bars for you! You can be healthy now all day, every day, with this water bottle! Are you lacking that mythical green thumb everyone is talking about? Don’t buy that icky fake plant just yet. You can still have live plants in your home. The Parrot Pot is a plant guardian like no other. It’s like having your own personal gardener! 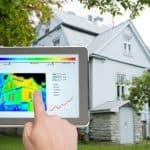 It works by measuring your plant’s levels of sunlight, fertilizer, temperature, and soil moisture. The app will actually give you recommendations based on the type of plant you have. You can even use the app to check in on your plant if you are gone. 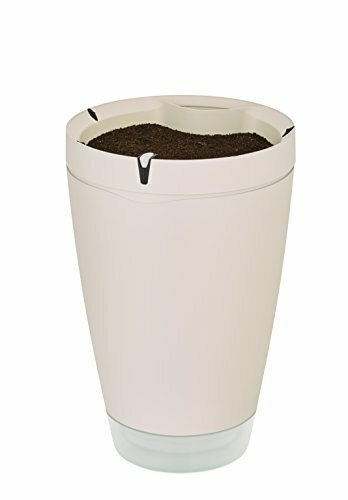 This smart flower pot will take care of your plant up to a month! Stop coming home to dead plants. Get the parrot pot today and never look back! Unsuspecting pests are lured inside the trap by your choice of bait. Then, the trap zaps the life out of them with a powerful electric shock. It immediately sends an alert so you know to empty the trap. The trap uses low power Z-Wave wireless technology which allows it to be powered by 4 AA batteries and gives it up to 150 feet of range. And yes, it’s available on Amazon. I bet you are scratching your head wondering what in the world you would need a smart fork for right now. Well, it is kind of weird that we have come to a point in our society where we need help controlling ourselves to this extent. However, there are some positives to this oddball invention! 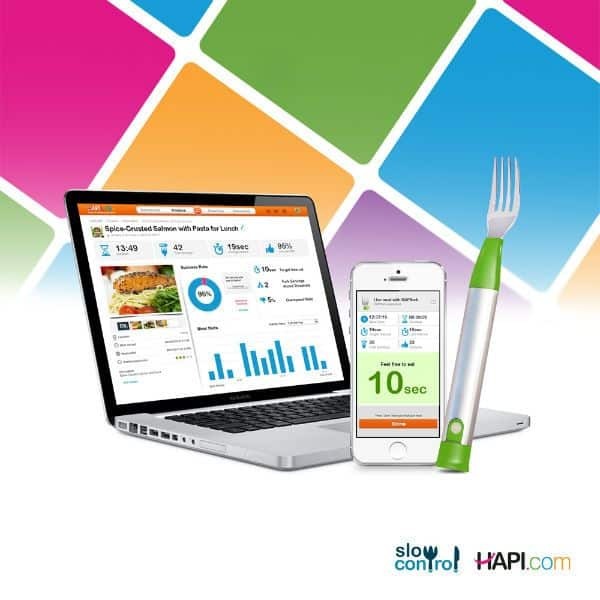 The smart fork can help you slow down your eating, monitor your eating, and even coach you into better eating habits. Who actually needs help with that, though? I think this is geared towards the severely overweight and the elderly. It’s a great tool if you look at it for those types of issues. If you are just using it for fun, well, more power to you! Here’s a few kitchen gadgets that we believe are a little more useful. You put the what in the where!? Elvie is designed to exercise the muscles in the most intimate of places. Of course, it wouldn’t be complete without its very own app to help you plan your workouts and track your progress. Believe it or not, it’s a real product and it has almost 50 reviews on Amazon. 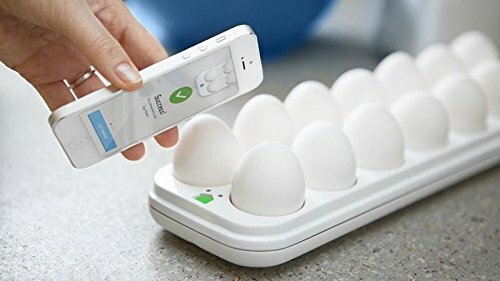 A smart egg tray for the win! You don’t probably need this. Actually, no one really needs this, but it’s just too ridiculous not to mention. This smart egg tray tracks how many eggs you have in your tray and how old they are. I told you, you wouldn’t need it! However, there’s always that time you come home from the store cursing yourself that you forgot eggs. Now you don’t have to! Simply log into the app and it will tell you how many eggs you have left and how old they are. Nobody likes a rotten egg. 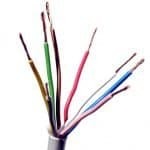 While these gadgets may not be a necessity of life, they are definitely fun and exciting. It can’t hurt to have a bobber that tells you where the fish is, can it? You might even get a moment alone with your cup of coffee while your kids brush their teeth. 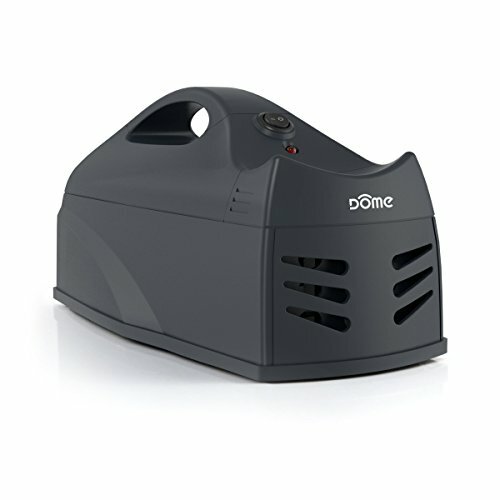 Necessity or not, a fun gadget can make life just a little more enjoyable. 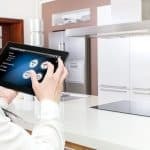 Have you seen a connected gadget that you think is totally crazy or unnecessary? Think I should add it to the list? I love chatting with my readers, so let me know in the comments below!